At PeachTree Place Assisted Living, serving you in West Haven, Ogden, and Salt Lake City, Utah, we have some handy downsizing tips for moving into assisted living. The transition of moving into an assisted living center can be a difficult one. We do everything we can to take the stress out of the move. After all, the senior in your life has probably lived in his or her home for quite some time. 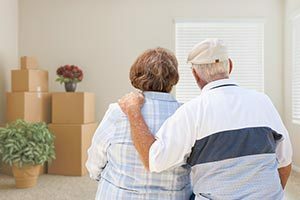 If you are wondering what you can do to help your loved one ease into his or her new home, here are some tips to make the upcoming move a positive one for everyone. Plan to bring special things, such as a few family photos, or a collection of knick-knacks, to make the new room feel like home. Does your loved one have a pet? At PeachTree Place Assisted Living, furry family members are welcome. The important thing is to not only make sure your loved one has everything they need but also to make sure their new space feels like home. After you and your loved one have decided what to bring to their new home, it’s time to decide what to do with the rest. When going through things, it helps to have three boxes or bags for sorting: one for things to give away, one for things to throw away, and one for things to put away for storage. Enlist the help of other family members to help with this process and keep things fun and positive. Reminisce together. We hope these downsizing tips for moving into assisted living have given you a place to start. If you have a loved one that needs assisted living in the Ogden, West Haven or Salt Lake City areas, visit us at PeachTree Place Assisted Living. At our fully licensed, locally owned facility, your family member will have access to quality care, on-site medical staff, recreational activities, and many other convenient services. 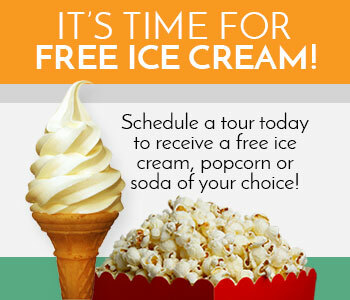 Call us to schedule an on-site tour today.